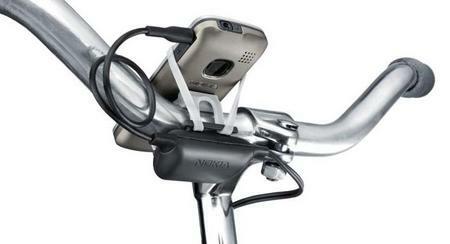 Talk about cleantech – Nokia is introducing a bike-mounted and pedal-powered charger kit. The relatively inexpensive kit (around $18 in the US), needs only 10 minutes of riding time to give a day and a half of standby or a half hour of talk time. The kit will start to go on sale in the fall in select markets. Read next: Foursquare in China shut down by Tian’anmen Square.